Judge Azariya Alkelai orders Netanyahu couple to attend cross examination over libel case they submitted against journalist Yigal Sarna. 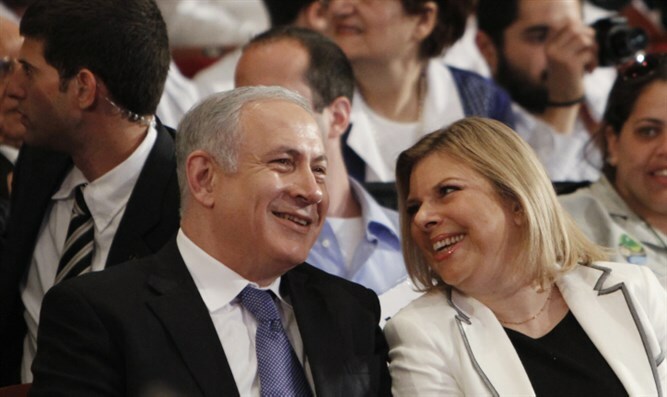 Prime Minister Binyamin Netanyahu and his wife Sara have been requested to arrive Tuesday at the court of Tel Aviv magistrate Azariya Alkelai to be cross-examined regarding the statements they submitted in their libel case against Yediot Aharonot journalist Yigal Sarna. Attorney Yossi Cohen, representing the Netanyahus, requested Thursday that the hearing be postponed until June but the judge rejected the request, stating that "there is no doubt that the plaintiff as prime minister of Israel is a very busy person and his affairs are of utmost importance. "Yet despite this the plaintiff must be aware that once he has submitted a request to the court he must appear at the hearing at the appointed time in order to be cross examined. The plaintiff will have to leave his important affairs during the cross examination. I wrote in my ruling that the plaintiff need not be present at the hearing and must only be present during cross examination of his statements. I believe this will not take a significant amount of time." The decision also stated that "the court is also short on time and postponing the hearing will cause a loss of precious time for the court. The hearing of proofs regarding this case has therefore been postponed until May 2018 and cannot be moved to an earlier time."